The paved Fairfax Walk is easy, gentle and ideal for walking with children. 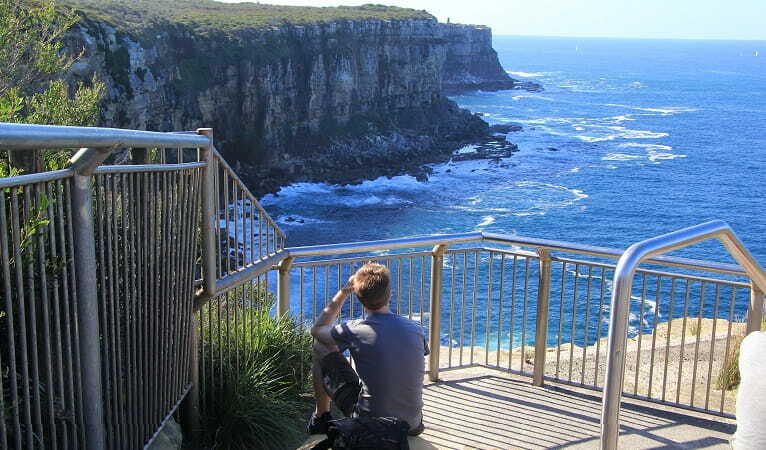 Located at North Head in Sydney Harbour National Park, it's a great walk for whale watching. Vehicle access to the lookouts at North Head is available from 5am to 10pm every day. North Head can be booked for weddings and photo shoots. Contact the park office for more information. This track is part of Sydney's walking track network. 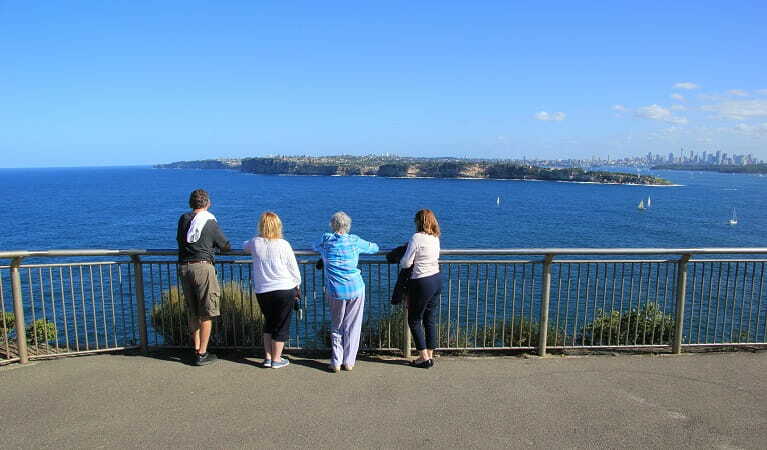 For more information, visit the Walking Coastal Sydney website. The Fairfax walk offers superb views and an enjoyable, gentle walk. 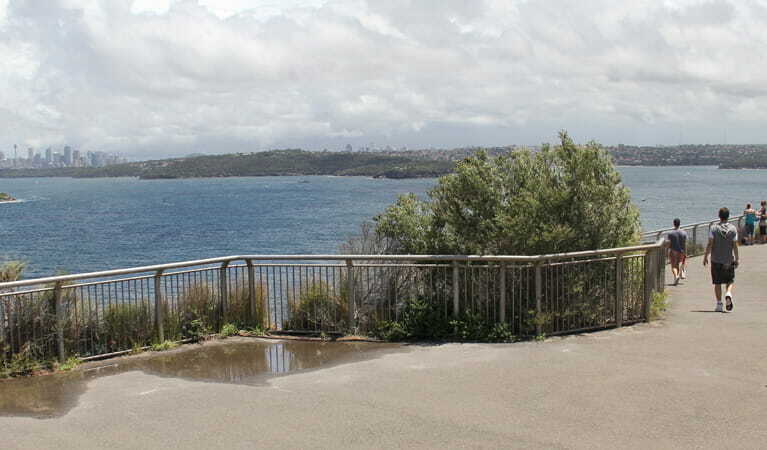 This short paved track starts at the end of North Head Scenic Drive and then loops around the top of North Head. 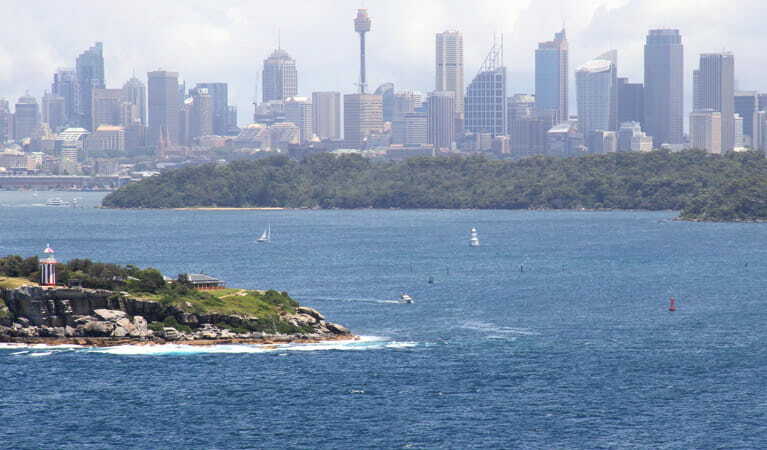 Its circuit connects three lookouts which provide the kinds of views you see on Sydney postcards. 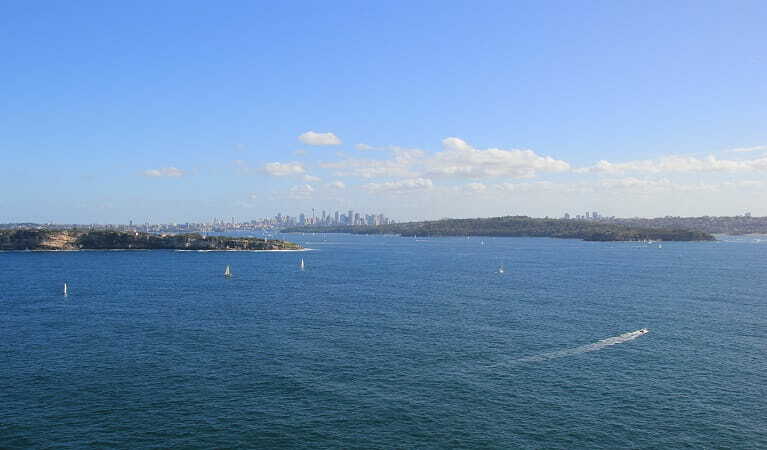 Look out over endless ocean or across the harbour to the CBD. The Fairfax walk is ideal for families with children and is partially wheelchair accessible. It’s also an exceptional walk for whale watchers during the June–July and August–October migration seasons. 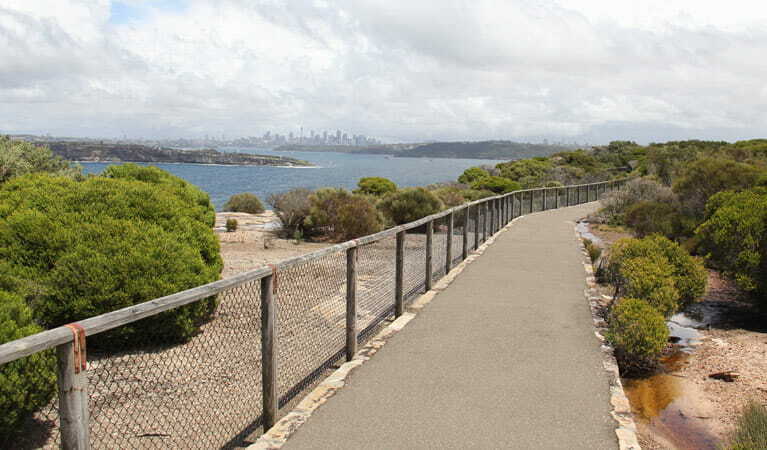 If you’ve still got energy to burn after completing the Fairfax walk, you can continue on through North Head Sanctuary. 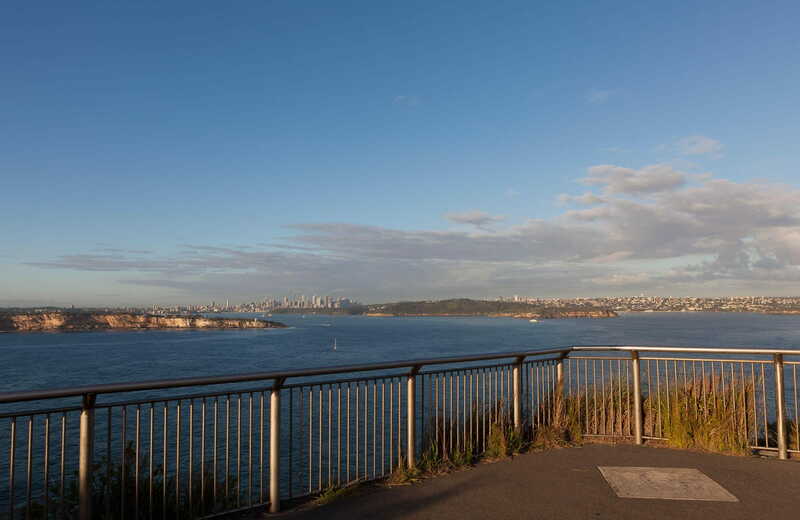 From there, just wind your way back down to Manly and join the Manly Scenic Walkway or take the Bluefish track to Shelley Beach. Take a virtual tour of Fairfax walk captured with Google Street View Trekker.